Two 3 3/8 x 4 1/4 in. 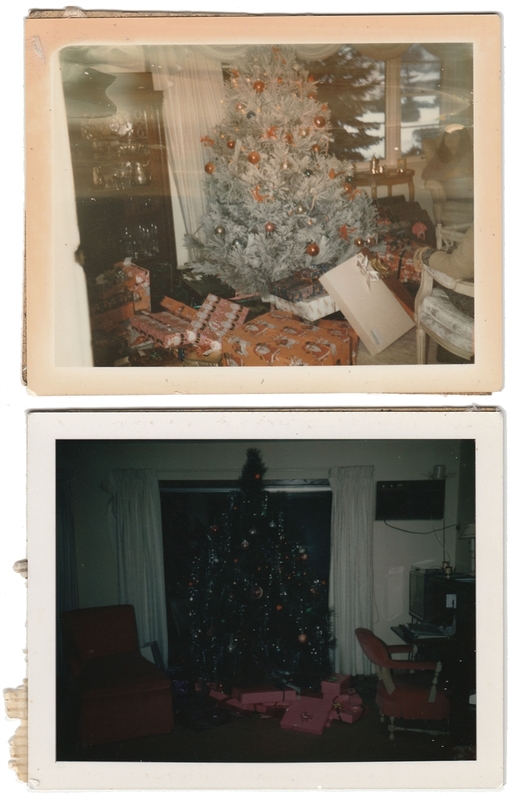 Polaroids of Christmas trees and presents. Top - verso: "Christmas Day 12-25-73"
Bottom - verso: album paper remnants.